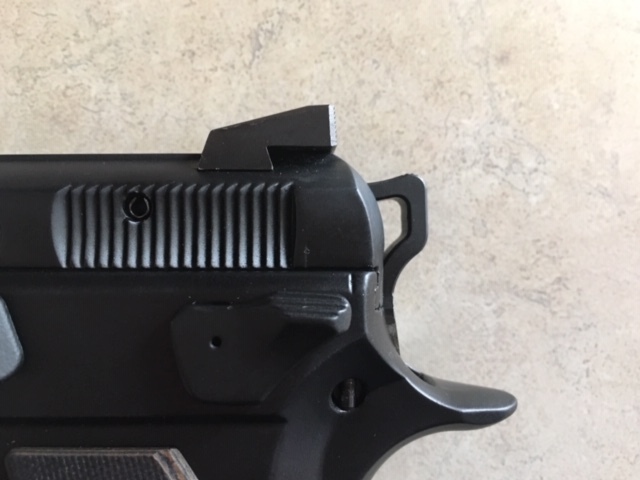 I am looking to put a new hammer in my sp01 de cocker gun. The gun will sometimes used for carry. I plan on keeping all other components stock. Is there any appreciable difference in these two hammers? Are they acceptable for a carry gun? 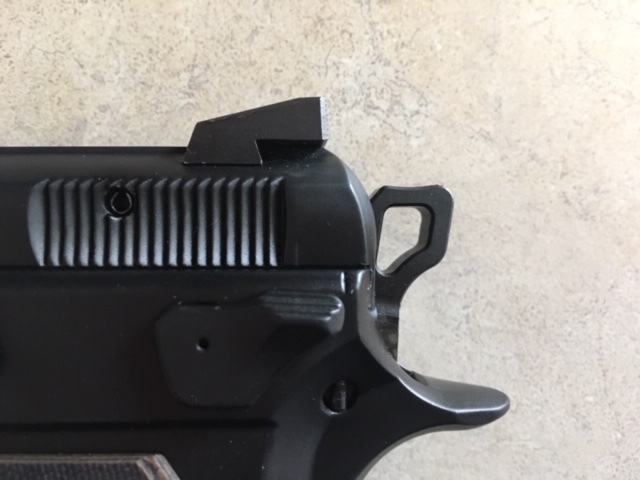 One is that my gun has minimum sear travel, the sear barely clears the factory hammer, the hammer actually rubs on the bottom edge of the sear sometimes. Wonder if this would cause issues? The concern is that there would not be enough sear engagement for me to be comfortable carrying. Are they real issues or just in my imagination? Does anyone have experience with one or the other or pictures of the hammer sear engagement for the de cocker hammer? 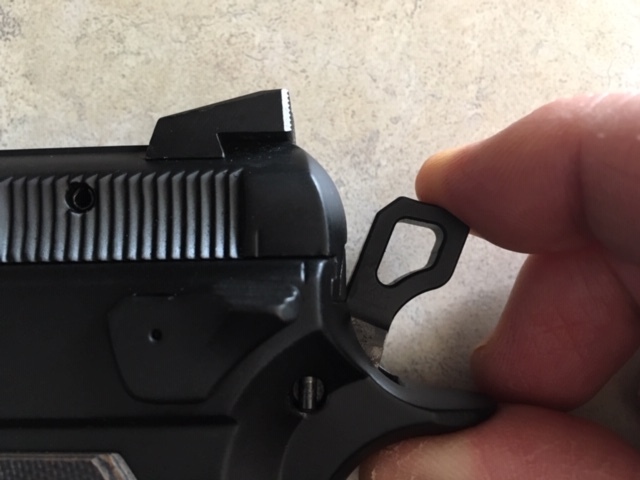 You raise an interesting issue...if you have the firing pin block in tact, you should be "safe" from unintended ignition, but the issue of sear/hammer hooks is an issue that I've given thought to. 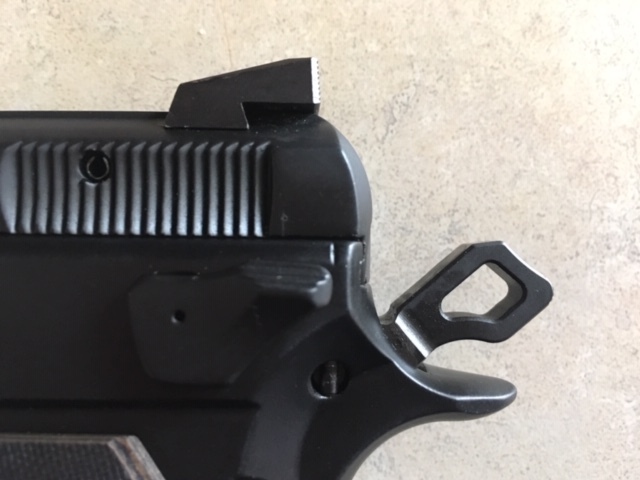 The aftermarket hammer hooks are quite short, about 1/2 the length of a 1911. And with the lighter hammer springs some recommend to "improve" the trigger, I've wondered about the reliability of the hammer/sear interface with competition conditions. But it seems to work well and be reliable. However, if you notice that the hammer EVER doesn't fully capture and hold the sear, on cocking or decocking, I'd get it checked out.